Despite teams’, drivers’, and technical concerns about Formula One adopting a more complicated elimination-based qualifying system, the World Motor Sport Council approved the full original plan adopt the new system at the first race of the season. Per Autosport, the full original plan (including whittling down the field to only two cars in the last moments of the third session) has been approved to run starting at the Australian Grand Prix. A compromise between the new and old systems was rumored earlier this week where the third session wouldn’t eliminate any cars, however, that won’t be happening, either. That’s good insofar as the 2016 season will have one qualifying format and won’t switch it up randomly mid-season, but bad because valid concerns about the watchability and viability of the new format seem to be going unheard. One of those concerns may no longer be an issue, however. Autosport reports that Formula One Management (the group that handles F1's timing systems) has informed F1 head Bernie Ecclestone that they will be able to have the technical issues sorted by the Australian Grand Prix in two weeks. What’s with the “probably,” then? 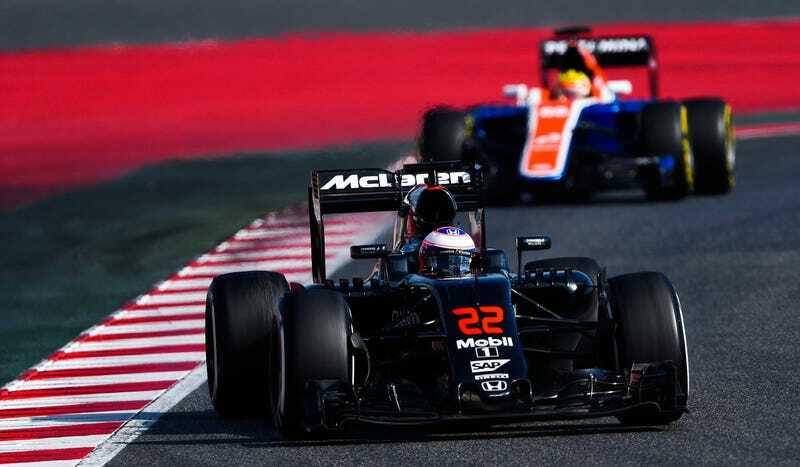 According to F1 journalist Will Buxton, the WMSC has sent the elimination qualifying plan back to the F1 Commission and the Strategy Group for approval on the wording. The precise wording isn’t apparently as set in stone as you’d hope for an approved change to qualifying.